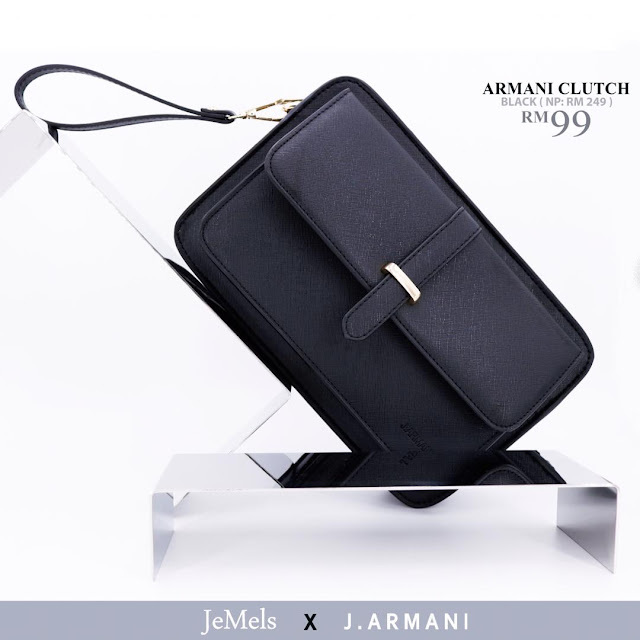 Hi guys sorry for take so long to update new story on my site here. I have been away for 2 weeks and I went to Pearl Island @ Pulau Pinang during Chinese New Year. I have been many places in Penang that I will shares with everyone rite here. Let's follow me to explore and chill in Penang Island with so many pictures @ so many interesting places I have visited in Penang. The Peranakan, also known as Babas and Nyonyas, are a community of acculturated Chinese unique to this part of the world. They are also known as the Straits Chinese, having settled along the British Straits Settlements of Penang Malacca and Singapore. 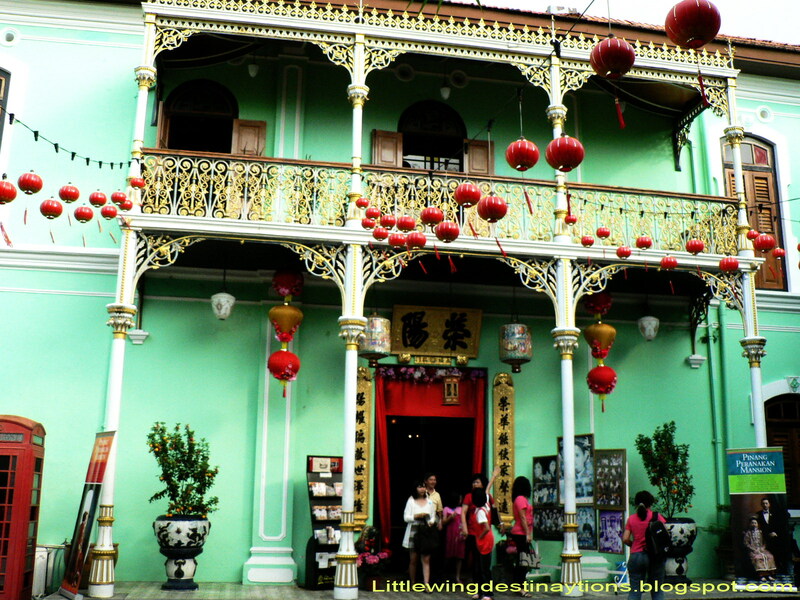 The Peranakans adopted local Malay ways and the British colonial lifestyle. These influenced its rich culture, customs, cuisine, language and lifestyle that are still evident in Penang today. The Pinang Peranakan Mansion, typical of the home of an affluent Baba a century ago is re-created to allow visitors a glimpse of the opulent lifestyle, customs and traditions in those days. Over a thousand pieces of antiques and collectible of this era is on display in this heritage mansion with its eclectic architecture. 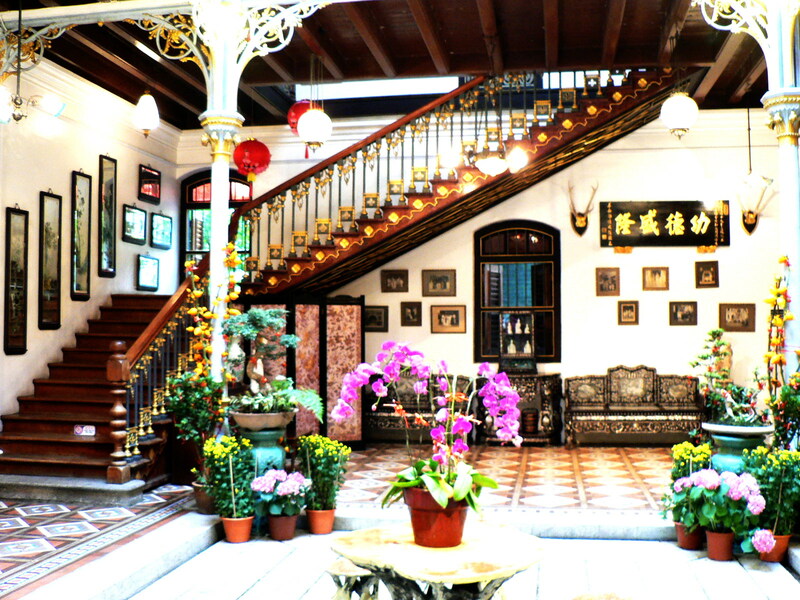 The mansion was built at the end of the 19th century by local history's famous personality, the Kapitan Cina Chung Keng Kwee. This 'Hai Kee Chan' or 'Sea Remembrance Hall' once served as the residence and office of this magnate. 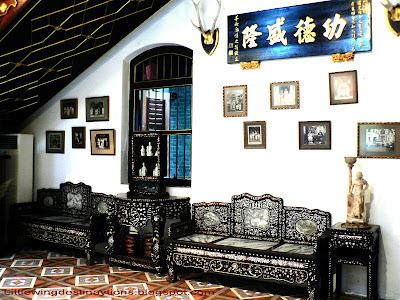 Though not a Baba himself, his Chinese courtyard mansion is reminiscene of a typical wealthy Baba house in eclectic style incorpora-ting Chinese carved wooden panels, English floor tiles and Scottish ironworks. Having survived many decades of neglect, the mansion has now been fully restored to its former grandeur of a stately home. 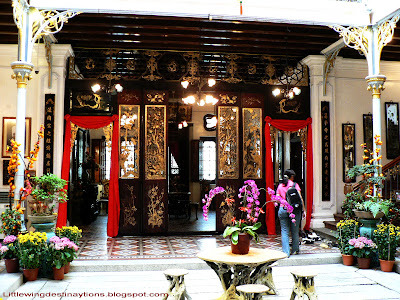 At the Pinang Peranakan Mansion, the legacies of the Peranakans are not only commemorated but the restoration of this building complex also heralds the preservation of Penang's unique architectural history. I have been here too during last trip to Penang. it was awesome trip for me in Penang.